Advertiser.ie - People of the Tribes : Meet Aonghus O'Flaherty. With a surname like "O'Flaherty" I can only be from one place - Connemara! So anyone who knows their Anglo Norman history of Galway will regard me as a trespasser! I'm ambidextrous, which is both unusual as well as useless! I lived and worked in Dublin for almost 10 years but I always itched to move back to Galway. I live in the city centre now. I had a "good job" in a "good company" in Dublin but it wasn't for me. 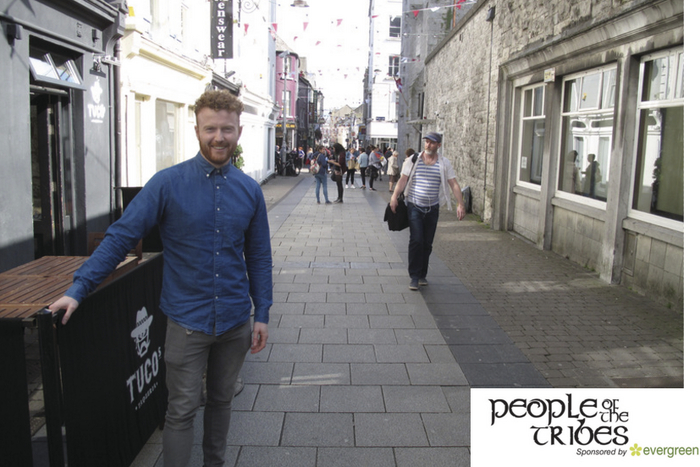 I always wanted to start my own business and I felt Galway was the perfect place to do it. So I quit my job and moved back. Galway is probably the only place in the world where doing something that stupid is completely acceptable - that's something I love about it! Galway is unique. It has an energy that's difficult to describe. You can't manufacture or recreate it. And many places try. There's an authenticity to it. I think that's why we've been awarded the European Capital of Culture. Every busker, every building and every local business combine to give it its "Je ne sais quio". The streets are soaked in character.